about this book: There is a question in Circumstances of Childhood that needs an answer. When a former pro football star and broadcaster, now a Wall Street maven is accused of insider trading, will he be able to prove his innocence and expose those who are guilty? Greg and his boyhood pal dreamed of success in professional football and then later in business. Unfortunately, because of unforeseen circumstances, Greg was the only one to live the dream. Now the founder of an investment fund Greg is faced with a routine audit finding by the SEC. The audit points to irregularities and all the tracks lead to Greg as the one who mismanaged the firm's funds. Since big sports heroes and, wealthy Wall Street big shots make for exciting news, the justice department hits him with an indictment of 23 counts of fraud, money laundering, and insider trading. The prosecutor grabs headlines and Greg's firm goes bust. All of Greg's friends predict his demise, and so he is on his own. His best friend Keith knows he is innocent but has to answer to a higher authority. He has been ordered under penalty of eternal damnation not to help because to do so could jeopardize the time continuum. 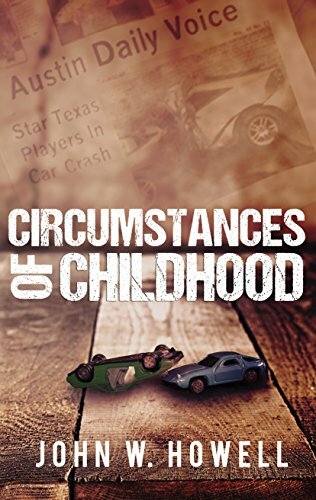 If you enjoy stories of riches to rags, redemption, brotherly love, and a little of the paranormal, Circumstance of Childhood will keep you riveted. Circumstances of Childhood is a story that covers twenty-five years of friendship and is a fictionalized retelling of events from my childhood.